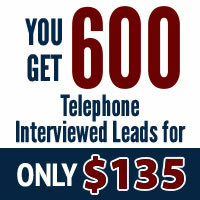 You get 30 Leads Daily for 20 days + 10% Overage. The total amount of leads is 660. 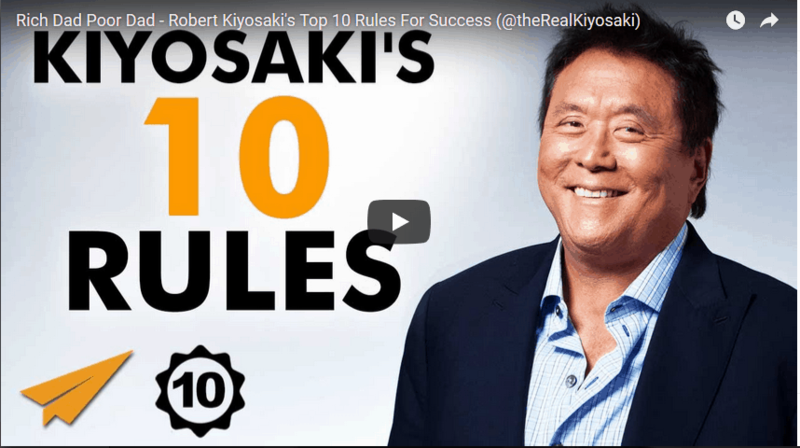 Great Value and it’s a tremendous momentum builder. Limited Openings. Our Telephone Interviewed Leads have been contacted by our call center staff before they are delivered to your account. We confirm their interest in a Home Based Business, also request the best time for someone to call them back. 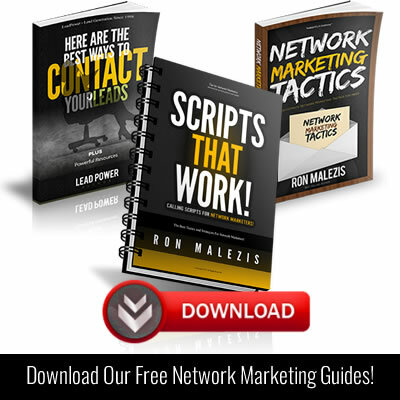 You set how many leads you receive daily. Every prospect has been confirmed through a personal conversation with one of our call verification representatives, they have an interest in learning about their different income options through a home based business career. You may be asking, what makes a good lead good? This is a great question, because all leads are not equal. Over the years, I have heard every question you can imagine about leads: What are the best leads? How much does a good lead cost? What qualifies as a good lead? Should I buy leads? What kind of response should I expect? 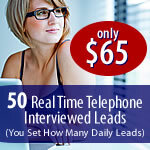 These leads are REAL TIME SHORT FORM MLM Leads are consistently some of the best performing leads that we offer. All Short Form Leads contain the following contact information: First Name, Last Name, Email, Telephone and IP Address. Here is your opportunity to build your local business by getting leads on a daily basis from your area code. There are 257 area codes in the US. We can deliver leads to each of these Area Codes! Your Leads are delivered at 8:00 AM Daily!